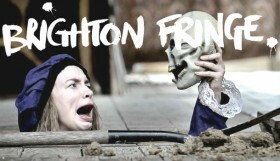 With Brighton Comedy having such a thriving scene, it can be hard to pick out and keep up with the shows that you really wouldn’t want to miss. Check out our guide below which is packed with outstanding comedy, whichever one you pick you’re pretty much guaranteed an excellent night of hilarity! There’s something for everyone in our April comedy highlights. 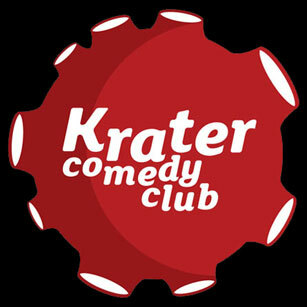 When people think of comedy in Brighton, their first thoughts are usually Komedia and Krater Comedy Club. Komedia has won Best Venue in the South an unprecedented 12 times, just in March they retained their title for 2015 and resident MC Stephen Grant has won Chortle Compere of the year multiple times. 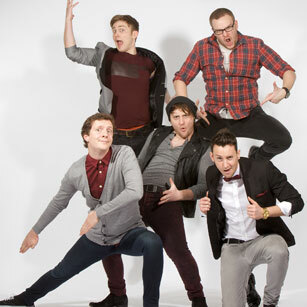 The acts are of a consistent high quality with top international and UK comedians every weekend. This April they have Tom Wrigglesworth (just this week seen on Alan Davies Dave TV show), Jo Caulfield, Ellie Taylor, Stu Goldsmith, Nathan Caton, Tiffany Stevenson and Chris Turner to name a few. As well as the comedy they serve a full menu, so your whole evening is taken care of. Date/s: Throughout April Fri – Sun, 2 shows on Saturday night. Excludes Sun 5th when gay friendly night Bent Double takes over. Price/s: Prices vary, see website for details and offers. 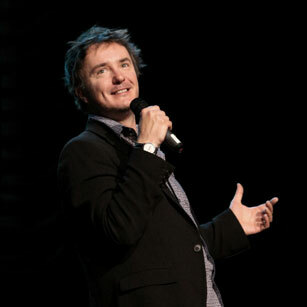 Here’s a treat for fans of offbeat noughties sitcom Black Books, Simon Pegg’s Shaun of the Dead and Run Fatboy Run, or just excellent live comedy, as Dylan Moran returns to his stand up roots. Back with his first new show in four years, this year marks Dylan’s 23rd in the business – a career he started at Dublin’s Comedy Cellar in 1992 with Ardal O’Hanlon (Father Ted). Dark, dry and relentlessly sharp, Moran’s sardonic observational style is “stand-up comedy of the first order” and “seriously good fun” The Times. A former lift engineer, Gina made her comedy debut at the Edinburgh Festival in 1996 and went on to sell out shows across the world. She has appeared on various American TV shows such as The Tonight Show with Jay Leno, Def Comedy Jam, The Rosie O’ Donnell show, as well as being a staple on The Lenny Henry Show, Mock the Week and Live at the Apollo, here in the UK. After rapturously received shows at The Underbelly Festival last summer, she is back with her new show and a couple of classic stories. From her disappointment at being diagnosed with sleep apnoea despite losing over 5 stone in weight, to finding herself in a brothel in Singapore. “One of the best comics in the world” The Guardian. If you prefer your comedy to be of the improvised variety then this is the night for you. The sell-out smash by the UK’s Premier Improv troupe has a monthly residency in Komedia’s main space. You can expect a hefty dose of The Noise Next Door’s trademark off-the-cuff madness, two stand-up stars, and comedy curiosities. After two sell-out seasons at the Edinburgh Fringe Festival and regular shows around the country The Comedy Lock-In is becoming the must see show for comedy fans nationwide. They’ve also just recorded some short videos for the BBC Taster project. 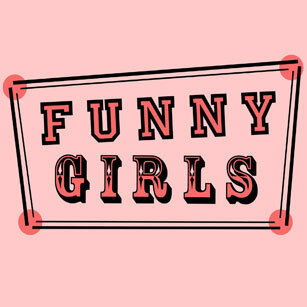 Funny Girls offers a very friendly room for up and coming female comics as well as established performers from the UK comedy circuit. Although the line up is all female, everyone is welcome! This very popular night has been running for three years and is hosted by Brighton favourite Julie Jepson who will introduce one of her many character comedy creations to guest compere the second half of the show. It might be Shannon Crabsticks, the Irish mermaid with a touch of Shipping Forecast Tourettes or Pearl, everyone’s favourite top dog breeder who always wows the crowd with her infamous meat raffle. 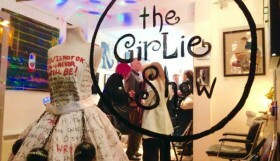 April’s show includes Brighton’s favourite comedy improvisation troupe The Short & Girlie Show plus Georgia Thorp and the Spanish feel will be provided by the delightful Ariella Souma and Sonia Aste.